This tutorial example illustrates using the Target crop option during the Align process of i2k Retina. There are two purposes to choosing this option: (1) the selected target image is not warped at all by the process of creating aligned images, and (2) the entirety of the selected target image is shown in the i2k Viewer display and the saved images. 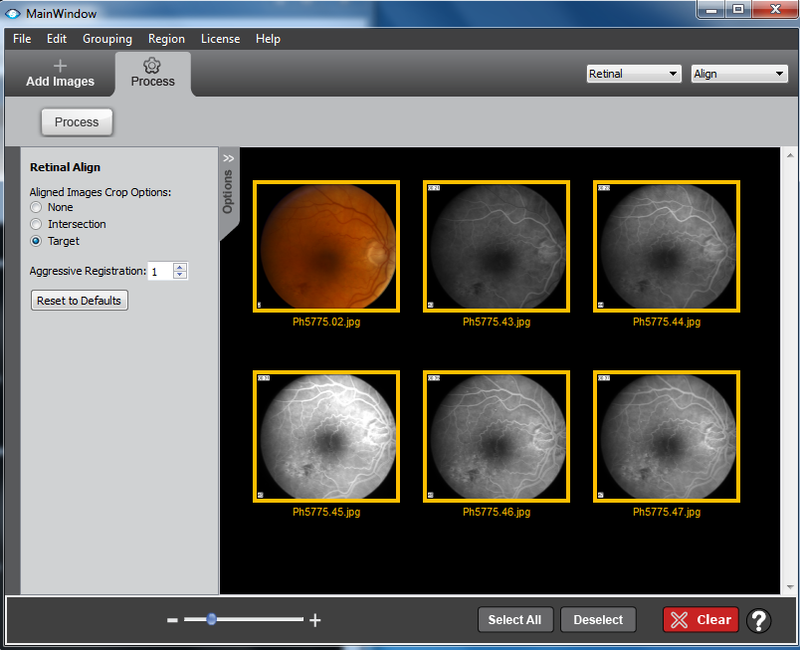 All other images are mapped to the selected target image and crop to its fundus region. Note that the Target radio button on the left has been clicked. Right click the image thumbnail and click on �Set as Target�. If no image has been selected as target, After clicking on the Process button a window pops up to select the target image � the stable, uncropped image described above. 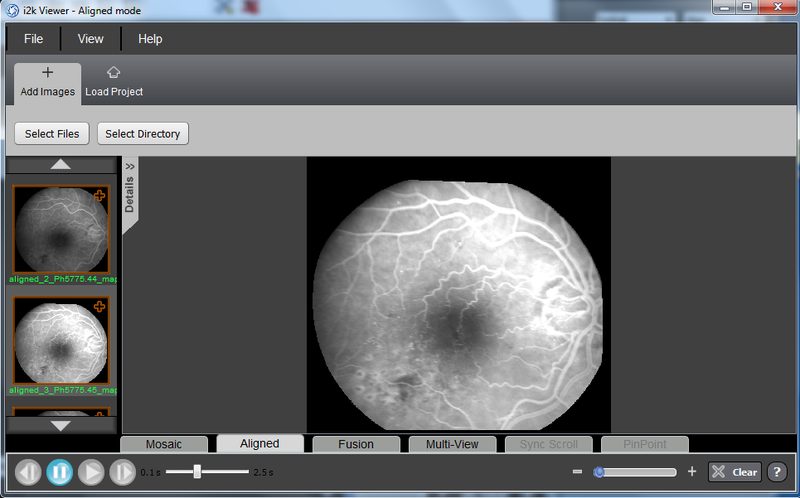 Here, the one color fundus image has already been selected, but any other single image may be selected. Clicking on Ok launches the Align process, which continues as before. 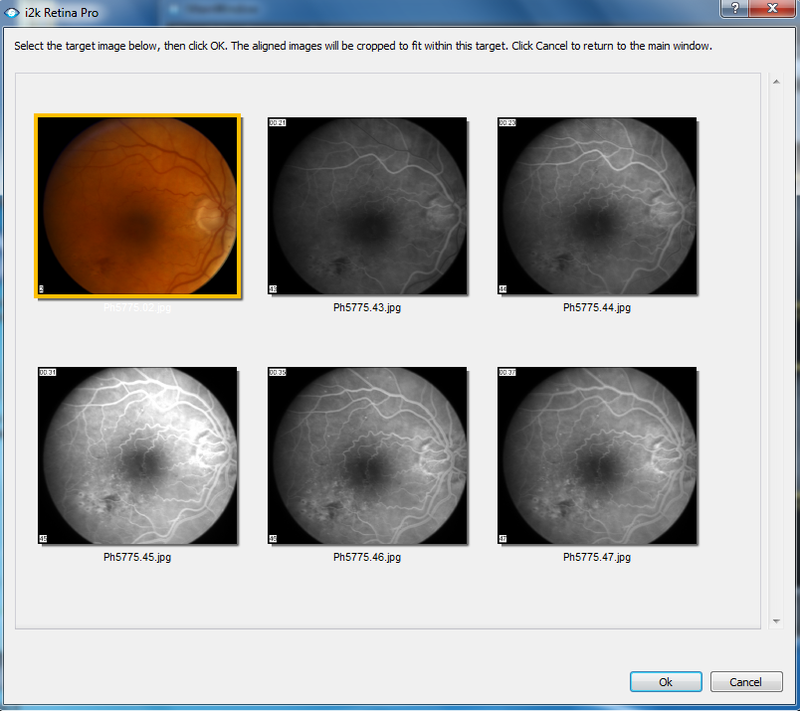 When it is finished it maps all images onto the coordinate system of the selected (and fixed) target image, and crops them to the fundus region. These are then shown in i2k Viewer as before. 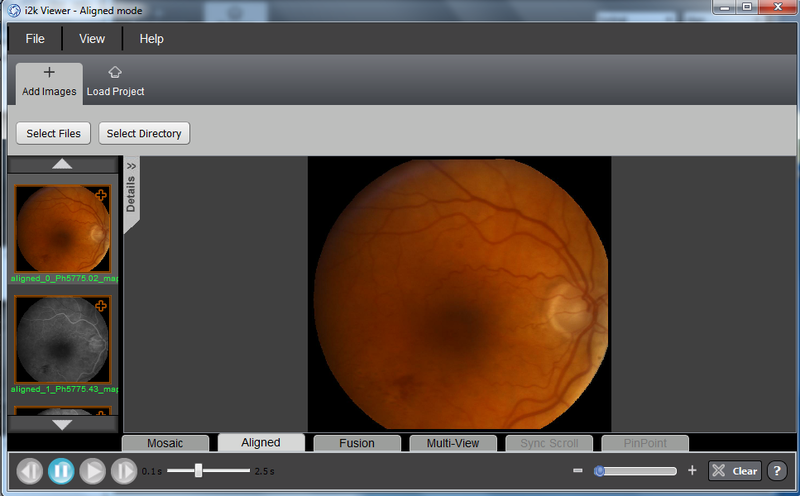 has been mapped to the fundus coordinate system and cropped. Users wishing to have more control of the use of a target image are able to do so through the library and the command-line interface.